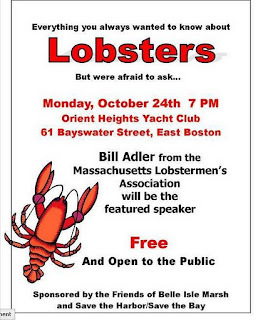 The Friends of the Belle Isle Marsh is sponsoring another of its popular talks with a gentleman speaking about lobsters on Monday October 24th. The speaker will be Bill Adler from the Mass Lobstermen's Association whom we have heard that he is a terrific speaker. Trivia question, where is the largest concentration of lobsters in the US? Answer. Memphis Tennessee- this is where the Fed-Ex shipping hub is. On Monday October 17th there will be a special Oyster event at Charlestown's Tavern on the Water. For details you can visit this thrill list site. It looks like a fun event with oysters prepared in different ways including baked and stuffed! On Sunday October 30th, B and G Oysters in Boston's South End will be hosting a Fall Festival. It will include shucked oysters, apple bobbing, face painting, an outdoor raw bar, and previews of upcoming menu items. Bring your carved pumpkin for our jack o lantern contest and win delicious prizes! Judging at 3 PM. 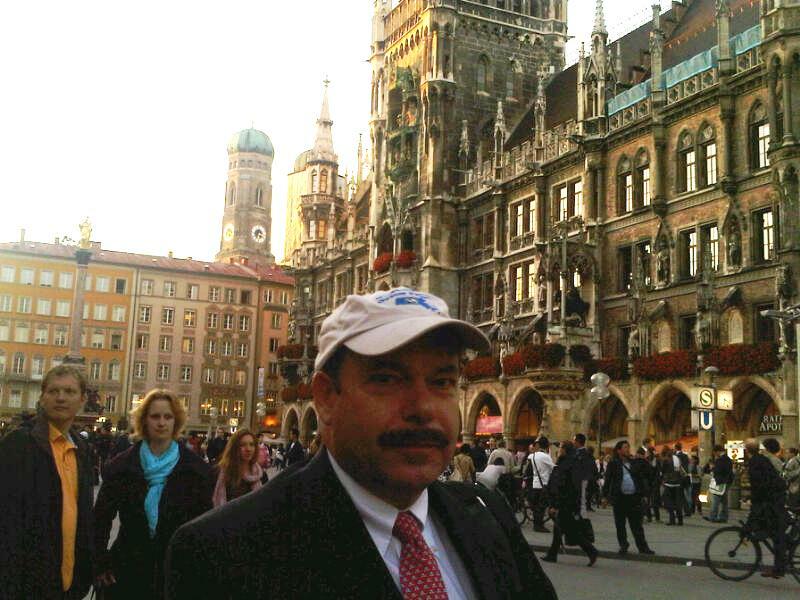 MOP Hat Spotted in Munich Germany's Marienplatz. Mass Oyster Hat in front of the Glockenspiel in Munich's New Town Hall that was completed in 1907. The hall is 259 feet tall and contains a mechanical clock with knights and dancers. MOP had a table at the Wellfleet Oyster Festival on Sunday. The activity around the booth was robust and board member Ben Wigren made some important contacts. Another lesson learned at this event was that you need to get there early to beat the traffic. There was a 7 mile backup as I tried to get there on Saturday around noon.